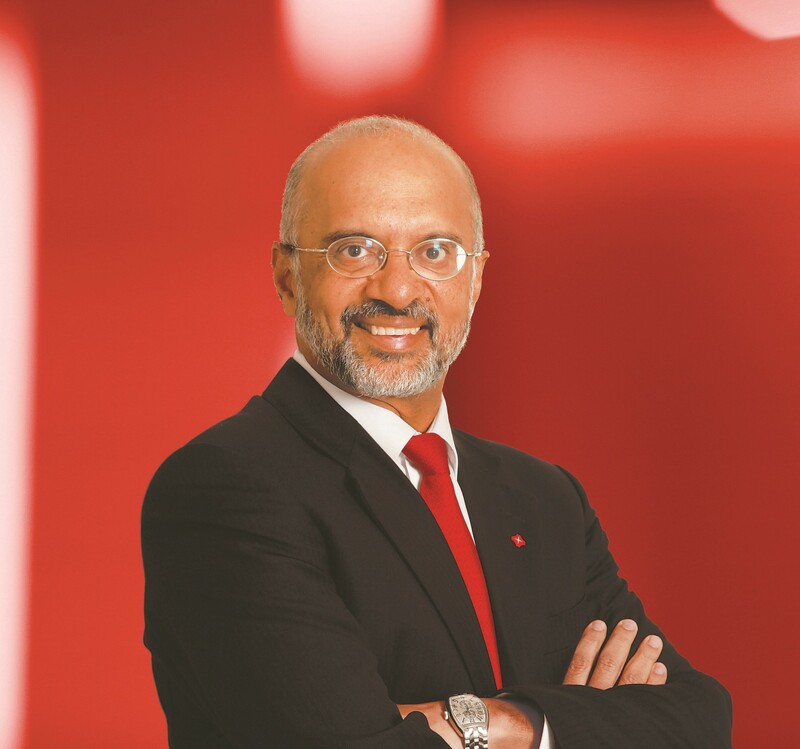 Recently I had the pleasure of interviewing Piyush Gupta CEO of DBS Bank of Singapore. Recently I had the pleasure of interviewing Piyush Gupta CEO of DBS Bank of Singapore. Piyush discussed about the top trends in Fintech and Banking and why DBS is increasingly recognized as a Global Leader in “ Digital Transformation”. As a CEO, I have a relatively unorthodox background, having grown up in an unfashionable part of banking — technology and operations, payments, trade finance etc. During my 27-year Citi career, I did 22 jobs in multiple countries. Along the way, I had a one-year stint as a tech entrepreneur running my own dot.com. All these experiences gave me a very broad-based understanding of commercial banking, with a strong tech/ digital overlay. Back in late 2009 in my early days as CEO of DBS, the bank was notorious for our long branch queues. I went to our branches incognito to speak to customers and ascertain for myself the cause of our service issues. Few people recognised me as CEO then! I found out that a significant part of the queue was because we had deliberately created a product to make it inconvenient for customers to withdraw cash at ATMs, in the misguided belief that this would help protect the deposit balances. This realisation led to the creation of a Customer Experience Council and Innovation Council — both chaired personally by me. By 2013, our efforts to improve service delivery by enhancing our processes had resulted in more than 240 million hours of customer waiting time being eliminated. In the past few years, we’ve also started to embrace customer journey thinking. Our cultural transformation anchored heavily on customer experience has enabled the bank to go from bottom of the class for customer satisfaction to top of the class for the last decade. What do you think makes your bank stand out during these disruptive times? Can you share a story? DBS is today increasingly recognised as a global leader in digital transformation. As an example, we were named as World’s Best Digital Bank by Euromoney twice in the last three years. To understand how this came about, we need to go back to 2014, when our Chief Information Officer Dave Gledhill visited a number of the big tech companies. His takeaway from the trips was that we could be the “D” in GANDALF — a term we coined to refer to the likes of Google, Amazon, Netflix, Apple, LinkedIn and Facebook. So in running the company, we started to act less like a bank and more like a tech company, asking ourselves, “What would Jeff (Bezos) do?” I believe that today, DBS has one of the most comprehensive transformation programmes for a bank, encompassing journey thinking, culture change, and a measurement methodology that is able to quantify the impact of our digital transformation on our bottom-line. Conventional wisdom is that it is difficult for a legacy company to transform at scale. So in embarking on change, some organisations keep the old and new organisations separate. My view is that to drive transformation at scale, you have to attack the core — and make it mainstream. Even though it’s daunting, I am a firm believer that one needs to create change in the company-wide culture. Culture will eat strategy for breakfast. Data — I used to say that data is the new oil, now I believe that it will be the new air because it is increasingly impossible to ringfence. As we go forward, our capacity to aggregate and harness all kinds of data, whether credit-related or customer-related, will be huge. Banks used to rely on credit bureaus to assess a potential customer’s creditworthiness. With the explosion of data, we could potentially add a multitude of data points to the credit underwriting process, many of which are not even financial-related. Artificial intelligence/ Machine learning — In a world of too much data, machines will increasingly play an important role in using data, identifying patterns and learning in the process. We already see that in the world of robo-advisory, where platforms use algorithms to manage investment portfolios. Natural language processing. The rise of the voice-activated personal assistant — whether Alexa or Siri — is indicative that people’s inhibition towards voice-controlled applications is diminishing. In banking, we are likewise finding that people are increasingly willing to engage AI-driven virtual personal assistants in conversation. Blockchain — Distributed ledger, or blockchain technology, has the potential to make financial transactions and processes more transparent and resilient, and at lower cost. It could fundamentally change the financial architecture too. Singapore and Hong Kong are currently working on an open architecture platform that will enable the seamless transfer of digital documents and data across borders. Ecosystem partnerships — Banks have traditionally operated as “pipeline” companies, working directly with customers. Increasingly, banks will need to make the shift to platform companies, and learn to work through partners. Working together with ecosystem partners, in the last year, DBS has launched marketplaces on our website, selling cars, property and electricity. The idea is to embed banking into the everyday lives of customers, so banking becomes invisible. That would be the Cheshire cat quote in Alice in Wonderland. In life, it is integral to have a point of view and a sense of direction. It will be related to conserving the environment. DBS recently launched a movement to encourage Singaporeans to recycle more and waste less. If all of us can waste less — whether food, water or plastics — we will leave the earth in a better place for future generations.